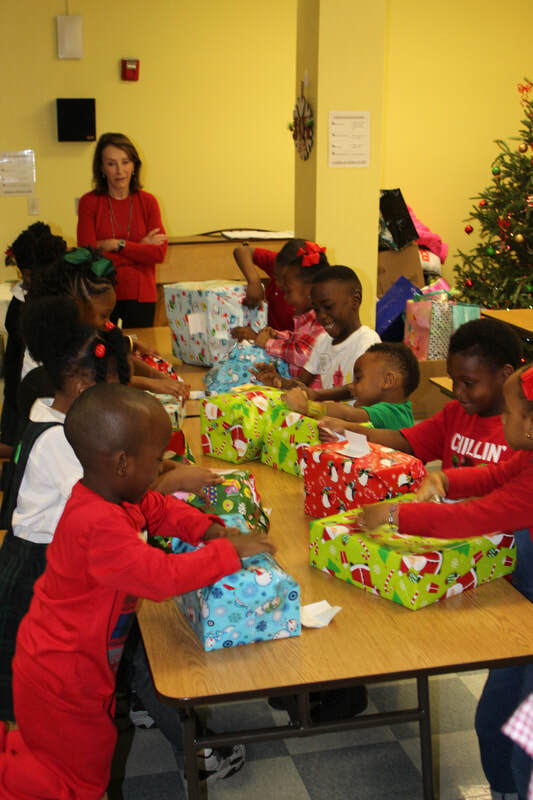 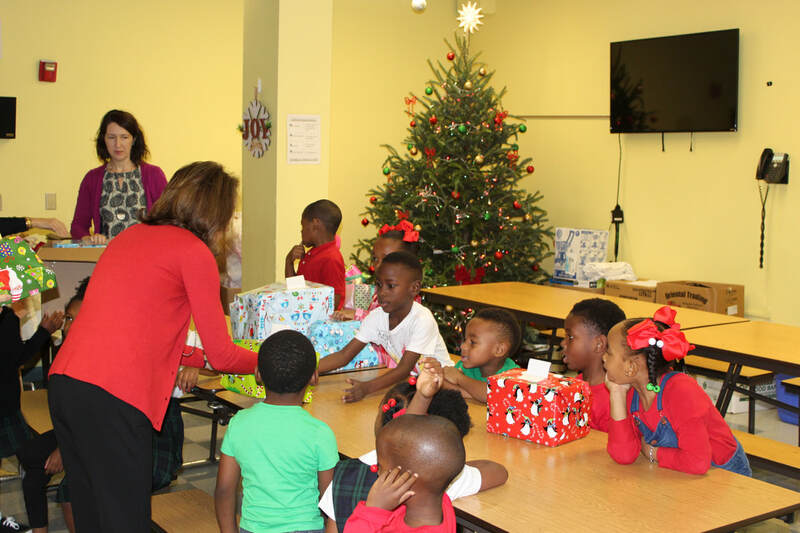 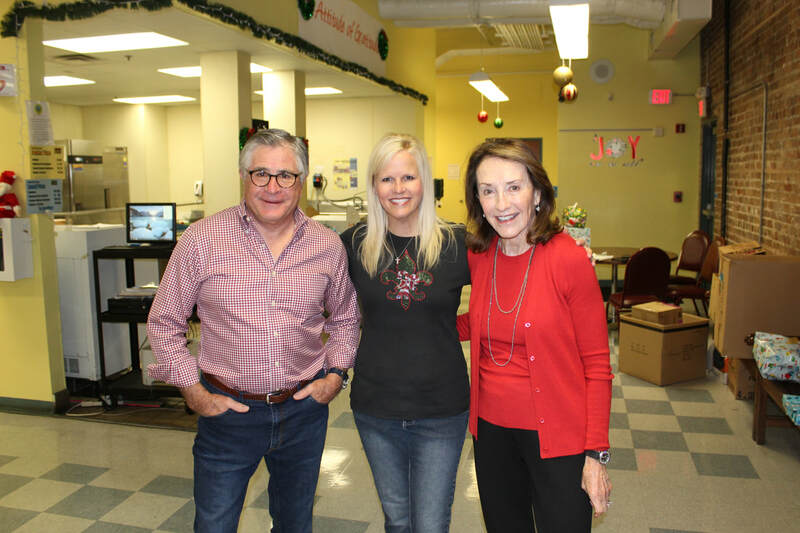 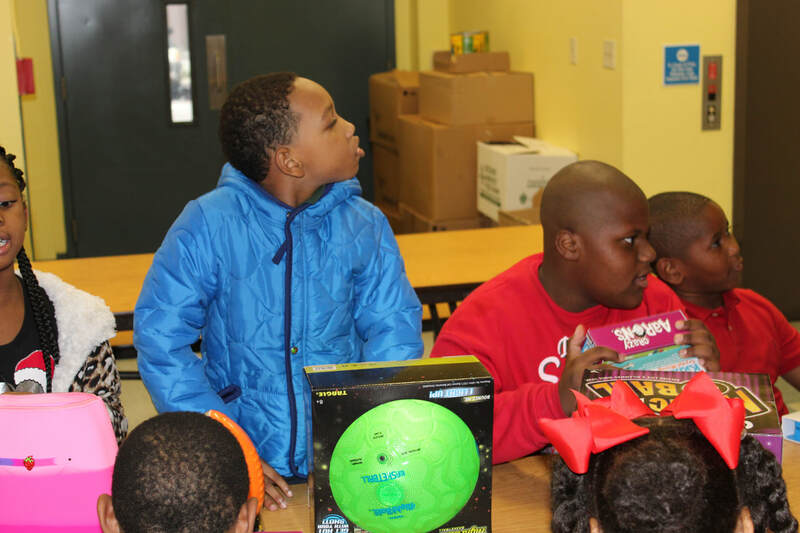 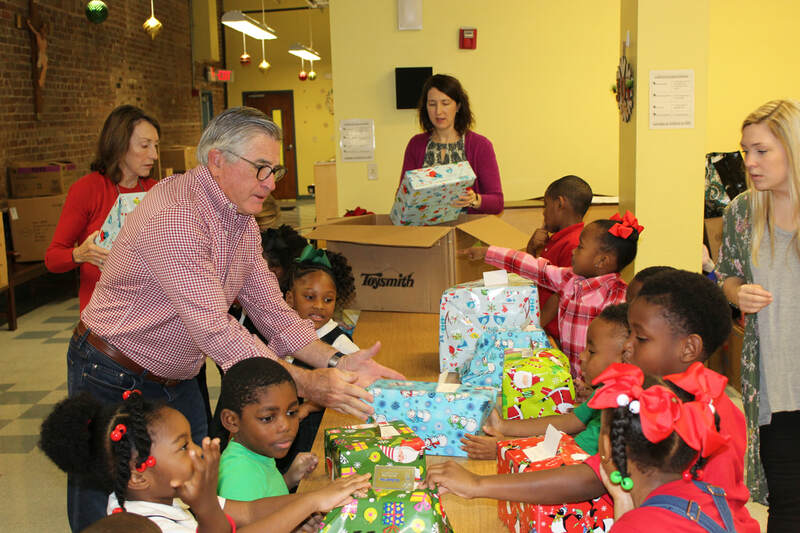 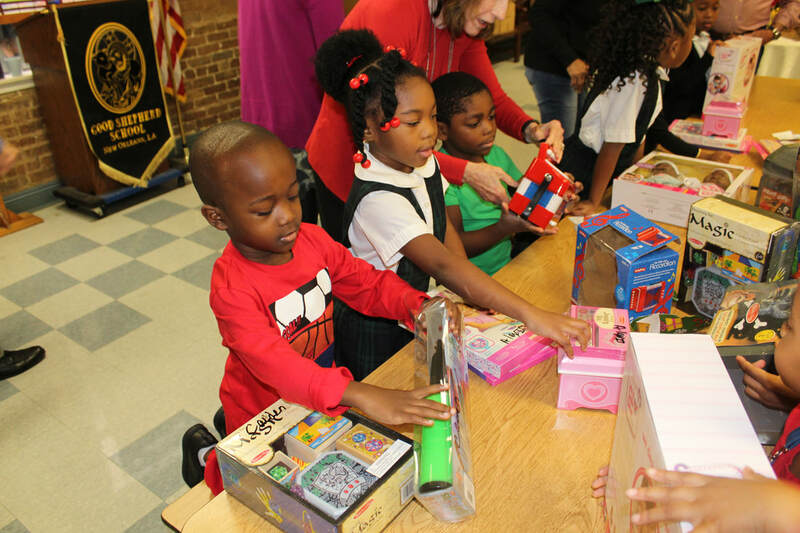 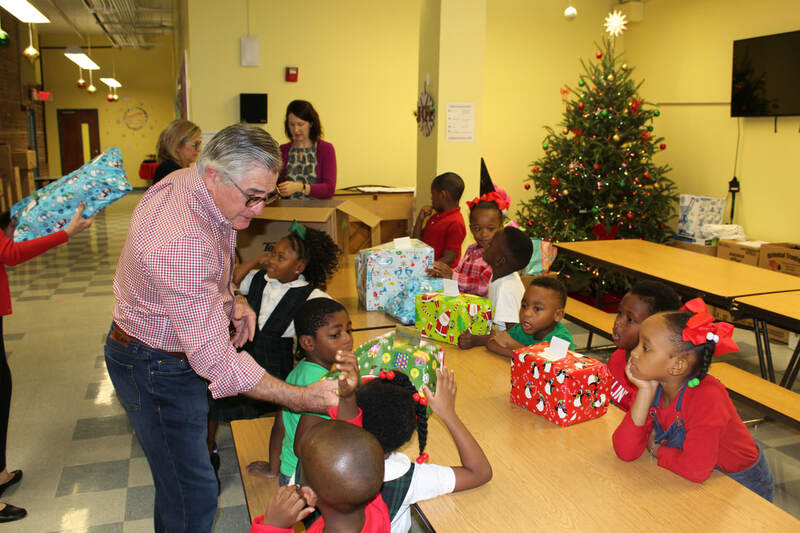 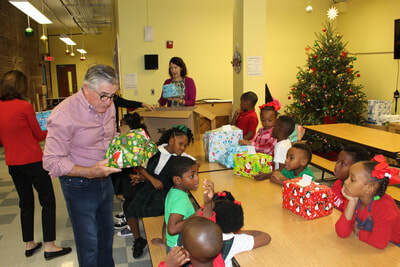 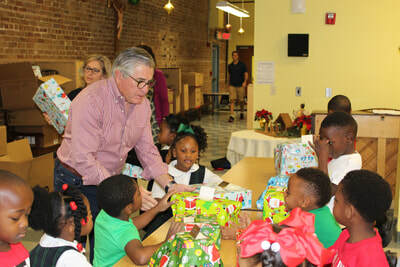 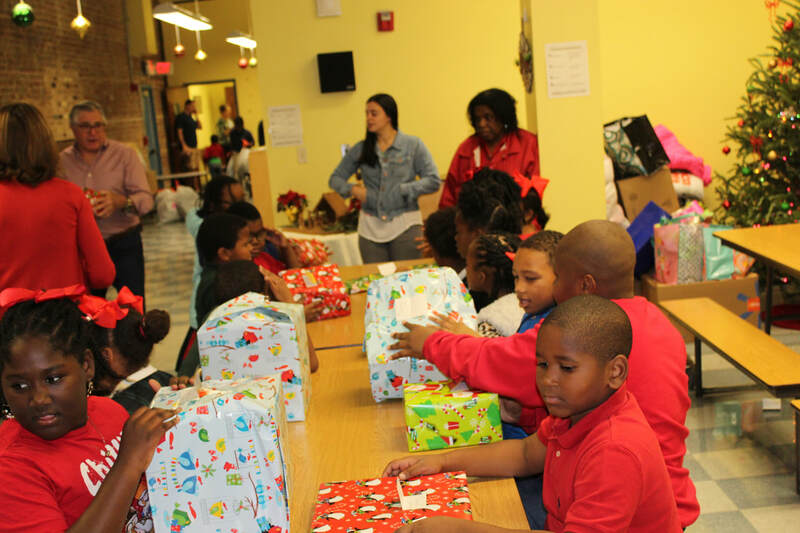 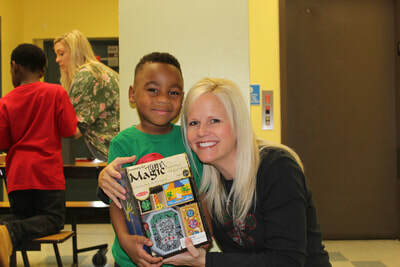 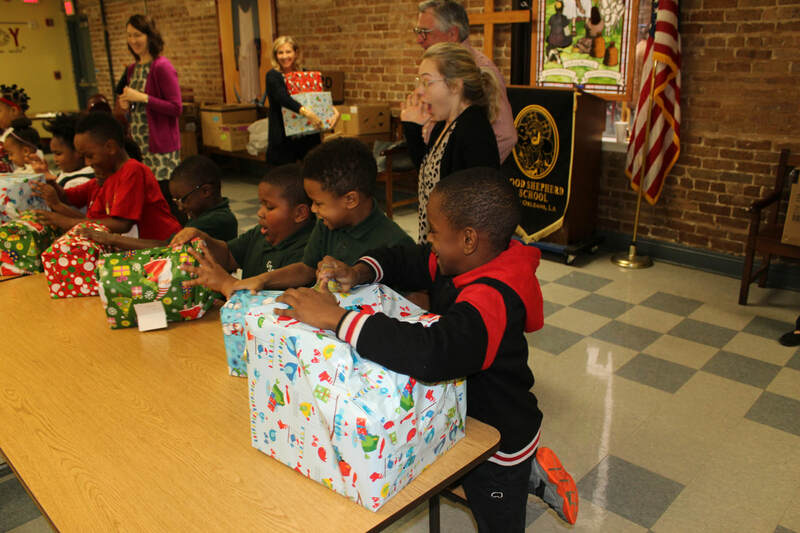 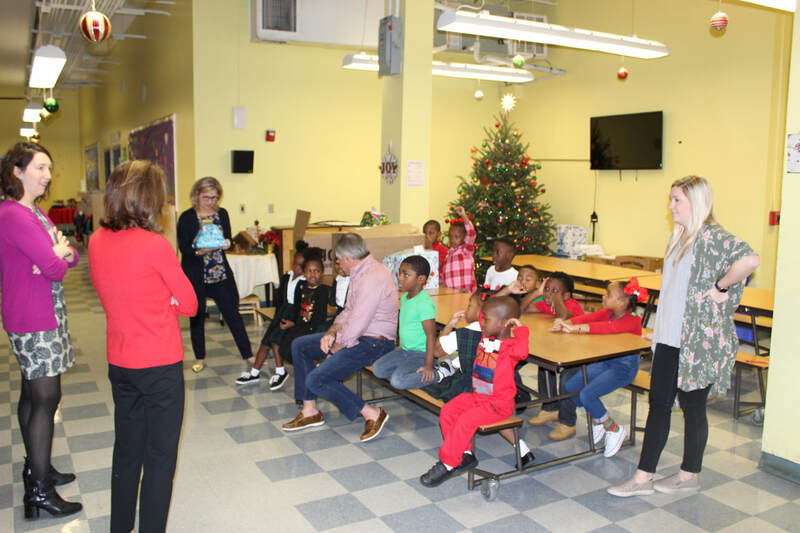 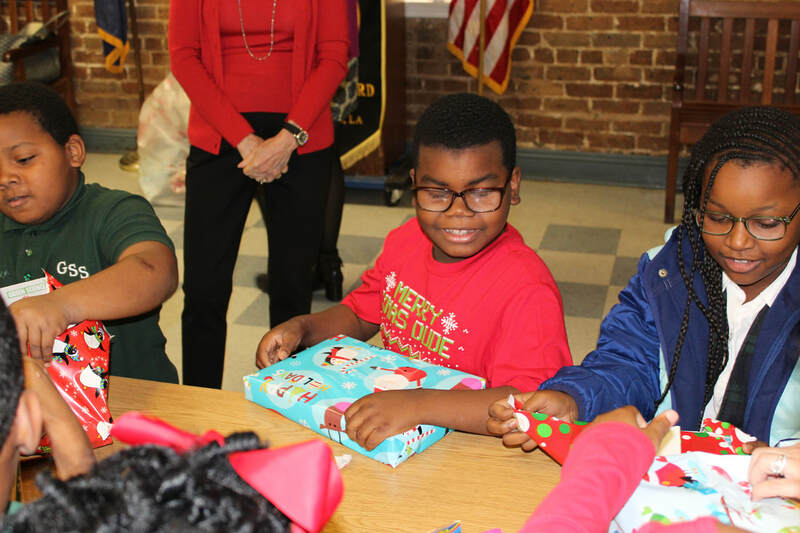 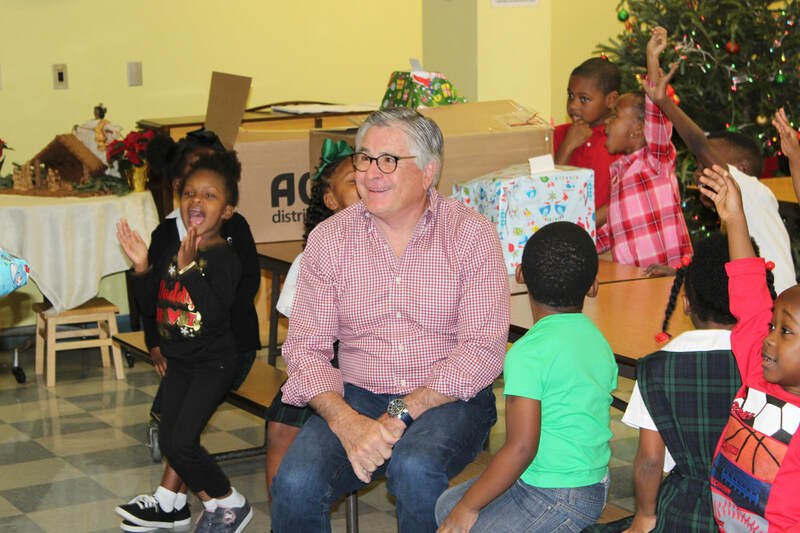 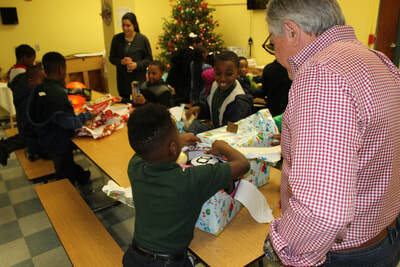 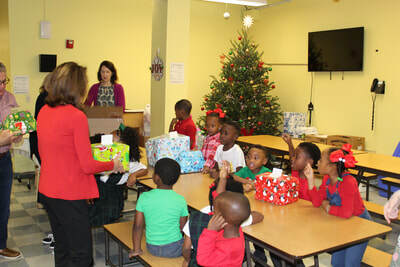 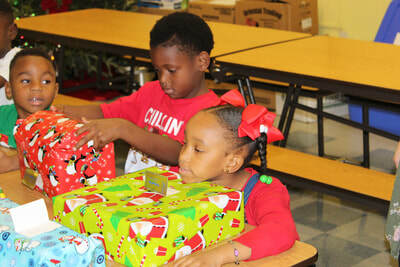 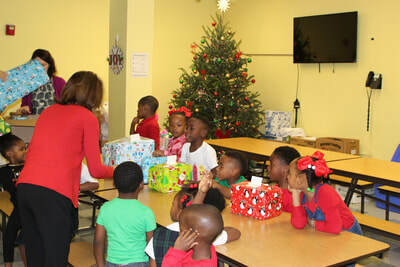 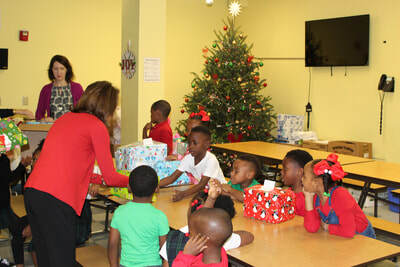 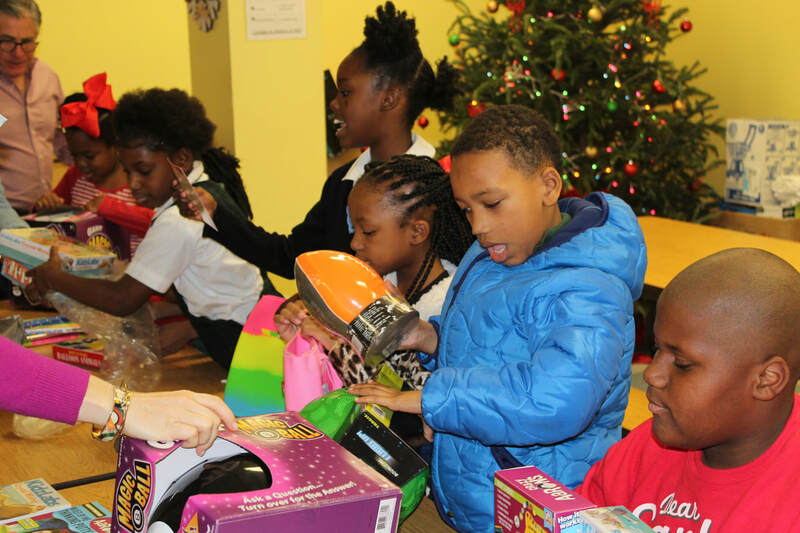 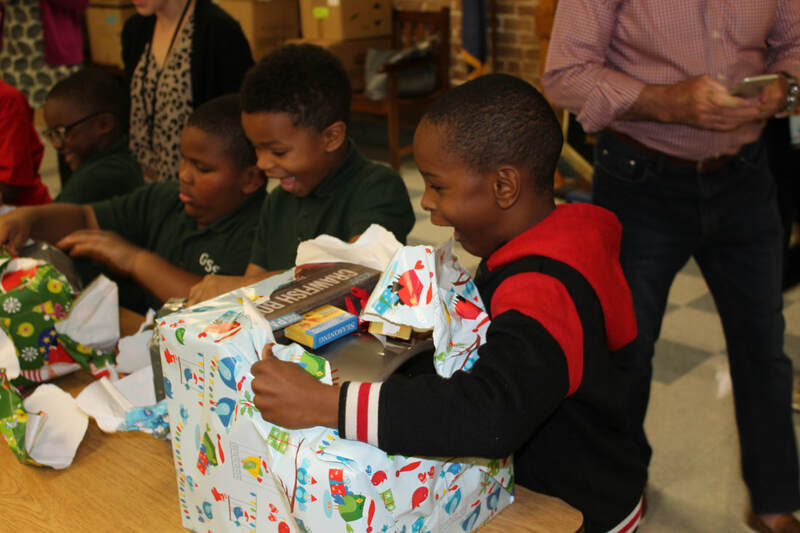 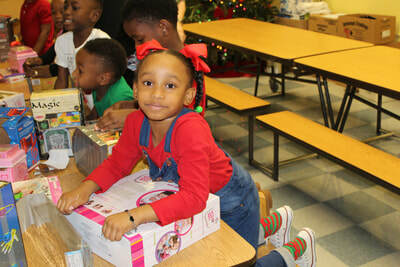 On Monday, December 18, Mr. & Mrs. Wayne Ducote visited The Good Shepherd School to give each student a Christmas present. 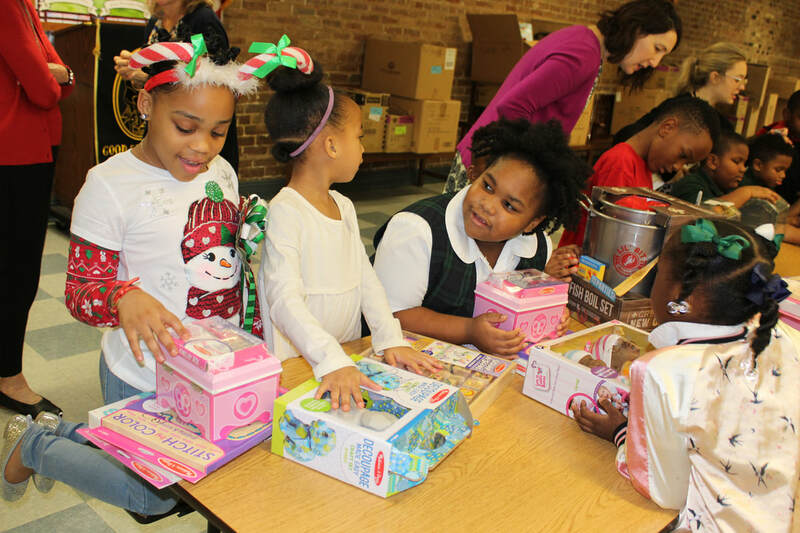 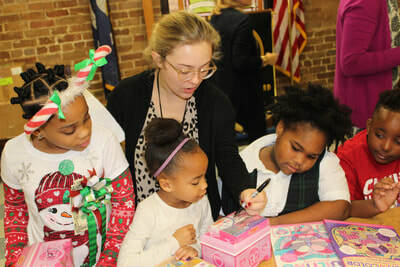 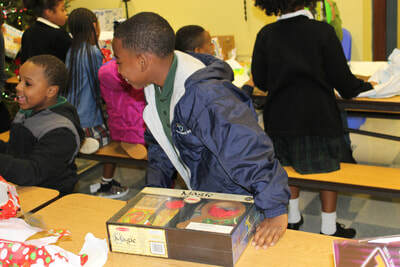 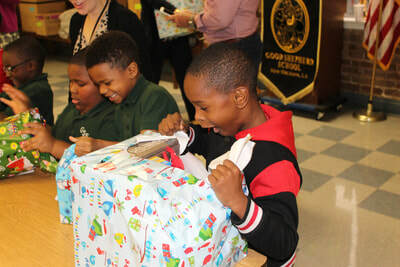 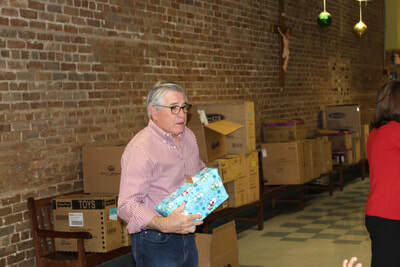 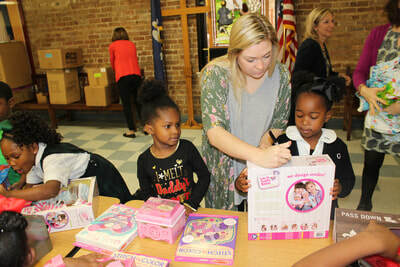 The Good Shepherd School serves 155 low-income, at-risk children, grades K-7 and the Ducotes have been covering the entire bill for this day of grand giving for years. Hundreds of GSS students have benefited from the generosity of the Ducotes who have supported the school in countless ways. 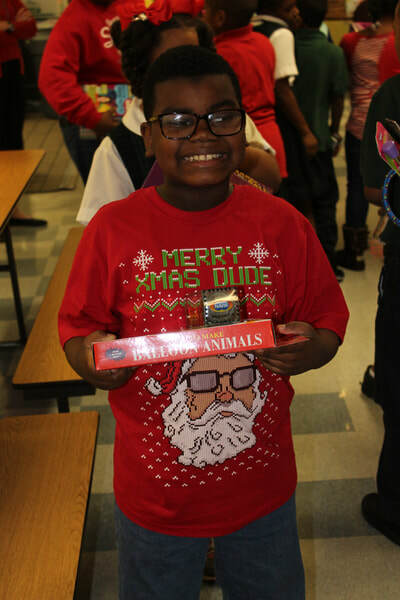 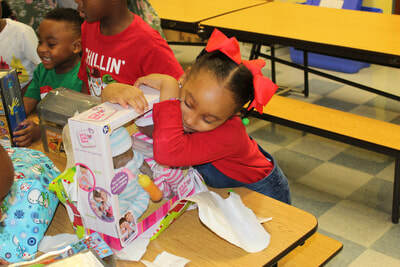 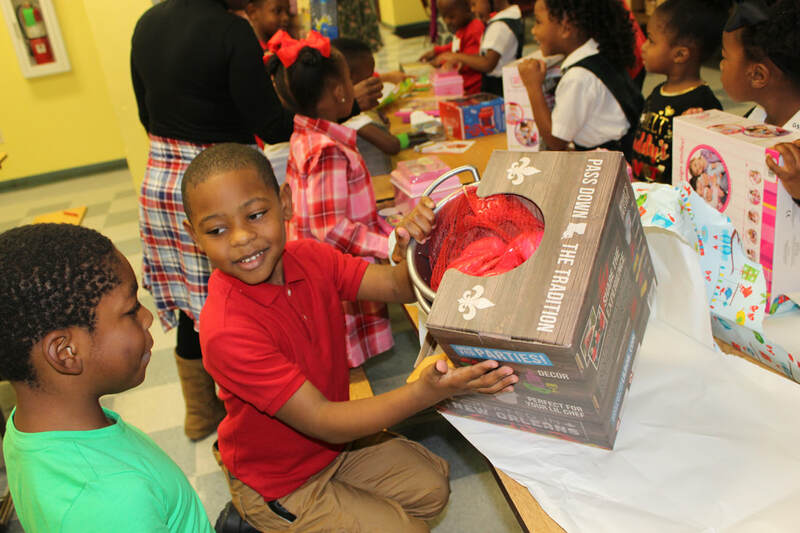 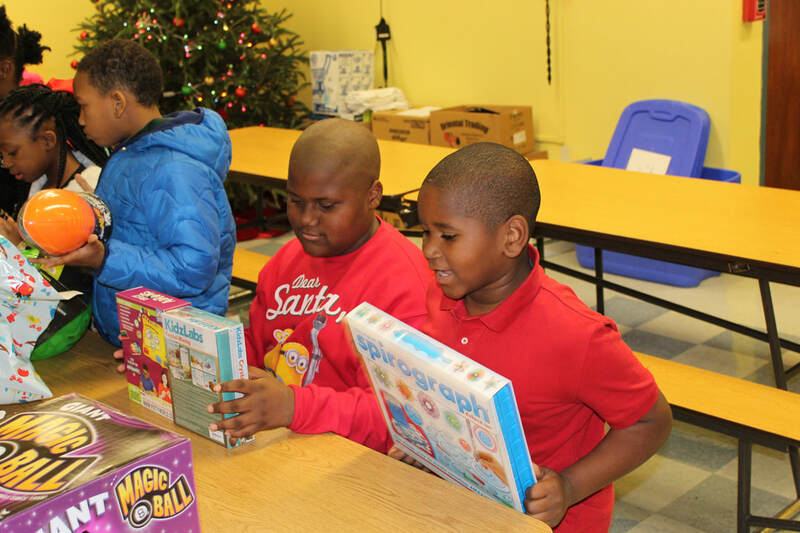 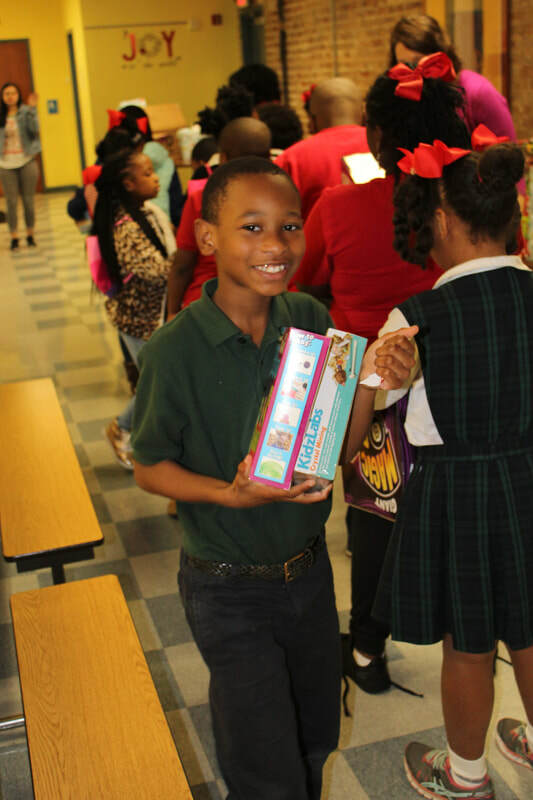 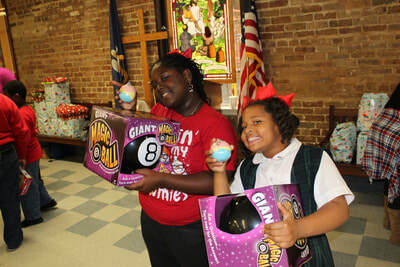 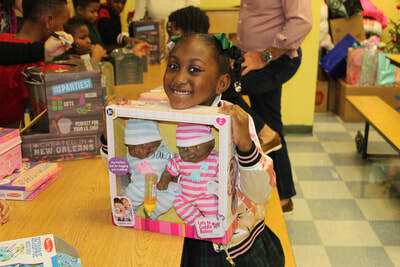 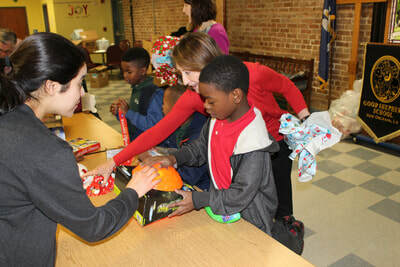 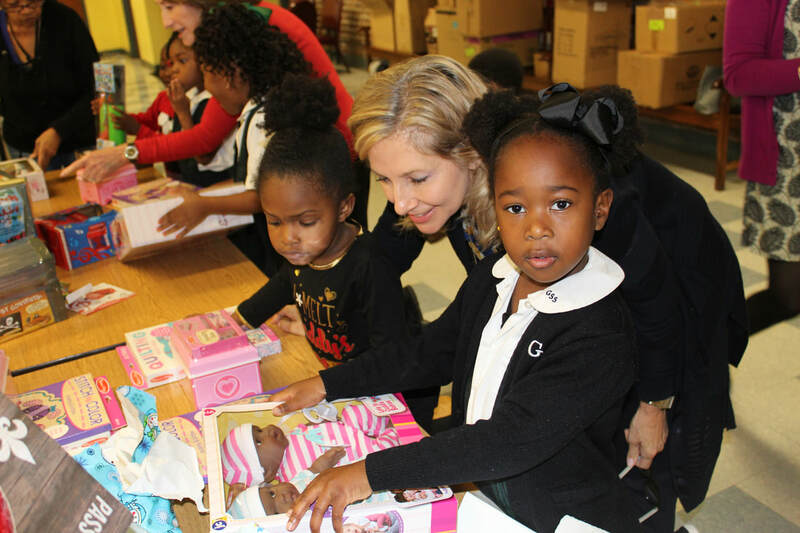 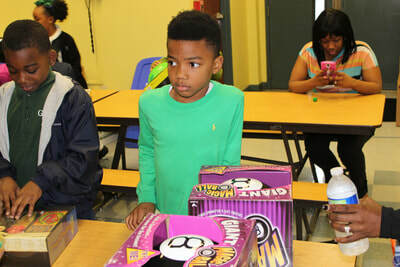 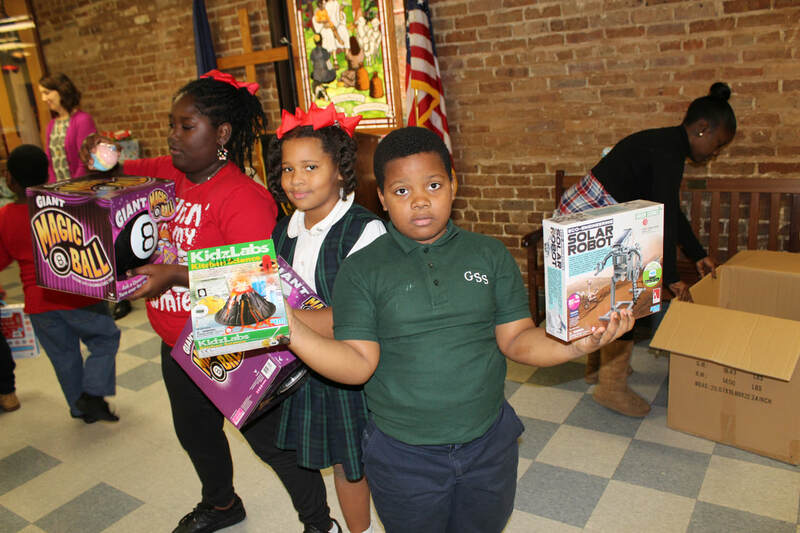 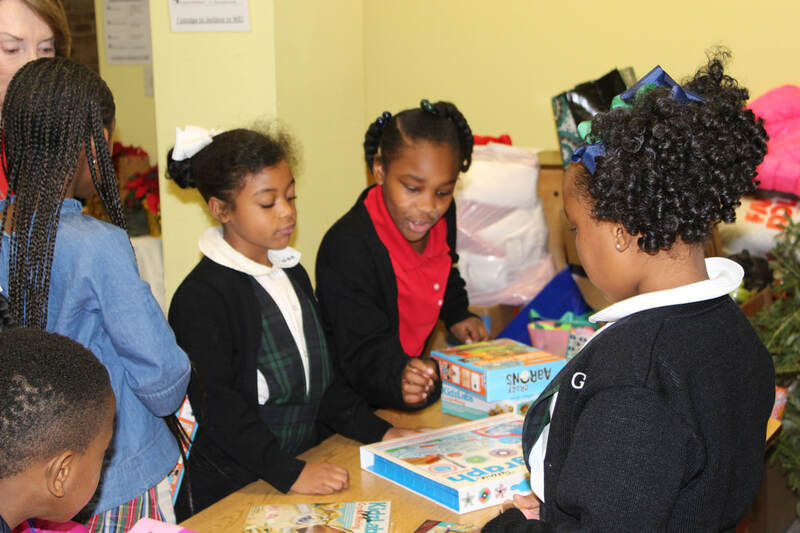 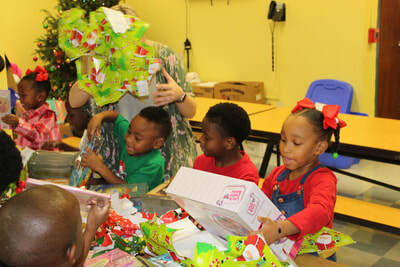 The toys were all purchased from Le Jouet Toys (located on Airline Hwy in Metairie), who packaged and wrapped all 155 gifts - THANK YOU, Le Jouet!